Peta Pixel showcases viral-style news pieces along with industry gossip, equipment reviews, and photography news. The tutorial section is a haven for budding pros. 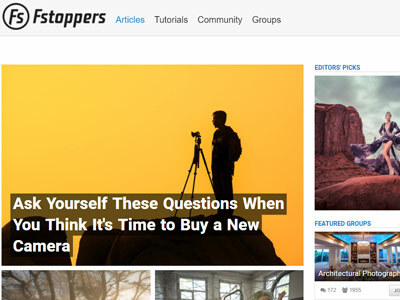 Fstoppers is a popular online community which aims to inspire and educate photographers, both budding and established. Content ranges from in-depth series on technical skills, to how-to guides for beginners. 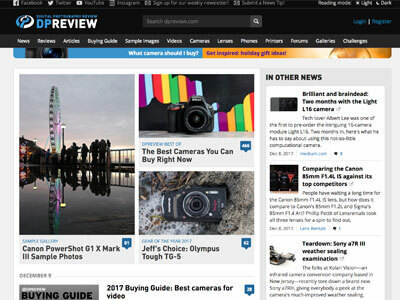 As the name suggests this blog from Digital Photography Review covers digital news and events while keeping the focus mainly on equipment. The in-depth reviews are a great stop for those bogged down in buying choices. 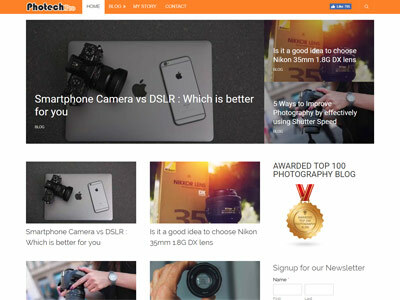 Founded by Darren Rowse of Problogger fame, Digital Photography School helps both beginner and advanced photographers get to grips with the techniques and tips they need. 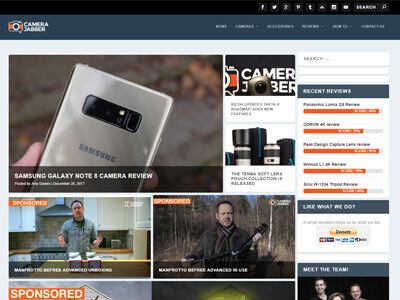 The team at 1x bring you the latest news and industry trends, along with reviews, interviews, and masterclasses. This magazine-styled blog has monthly and weekly themes and competitions. 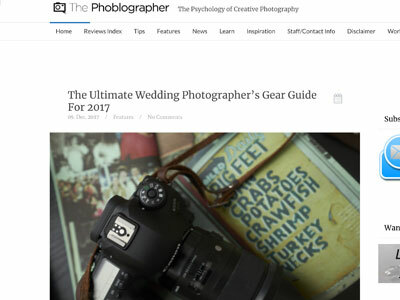 The Phoblographer has the tag line 'the psychology of creative photography'. The articles on here range in focus from debates on the digital/film divide to roundups of the latest creative trends. 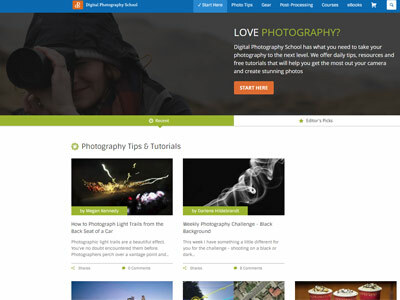 Expert Photography is a blog with a lot of tutorials, and a large and concise beginners section. How-to guides and listicles feature heavily. 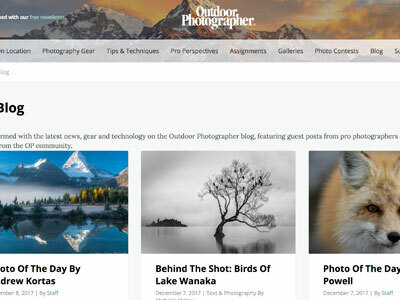 Outdoor Photography offers the snap-happy community current news and technology reviews. Guest posts from professionals and a daily 'photo of the day' post keep this blog active and lively. Light Stalking offers a focus on the people behind the cameras and the bodies of work they produce. 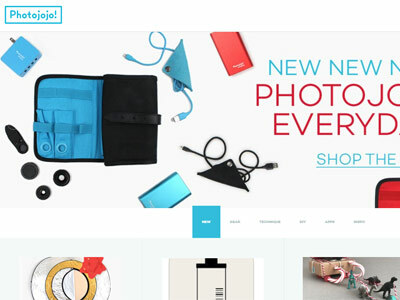 They aim to bring great photography to the fore and showcase emerging trends, while keeping an eye on technique. 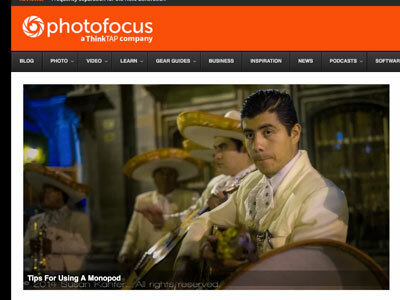 Photo Focus is a dedicated blog full of photography related articles. 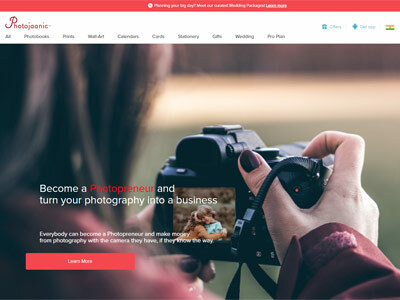 They set themselves apart from the crowd by having a popular 'business' section which contains info on how photographers can organise their business best. 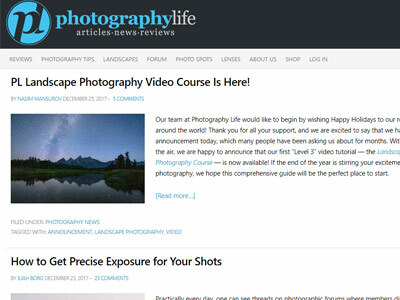 Photography Life offers professionals and amateurs alike a classic combination of photography news, tips, and reviews. 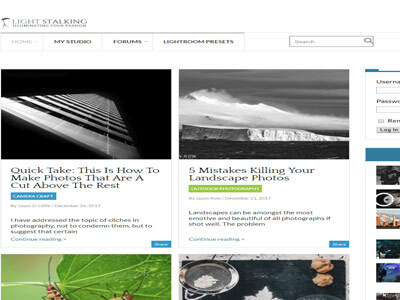 The forum here is a popular resource for photographers and fans of photography. 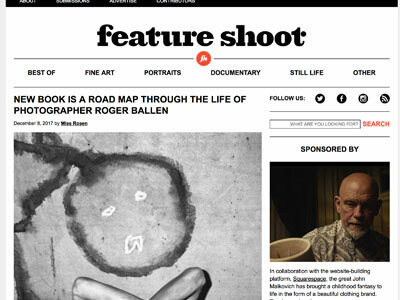 Longer-form analysis and opinion pieces on photography, and photographers, are on offer at Feature Shoot. The focus is often on art which has a political message or addresses the social climate. The ISO 1200 Blog is brought to you by Matt, a self-proclaimed "BTS Search Guru". 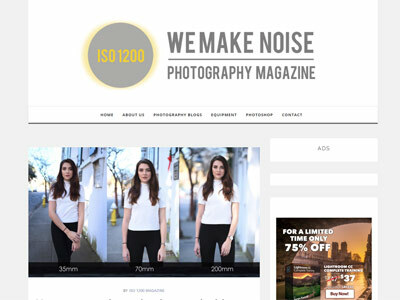 They cover events, equipment reviews, and diverse topics in both digital and film photography. 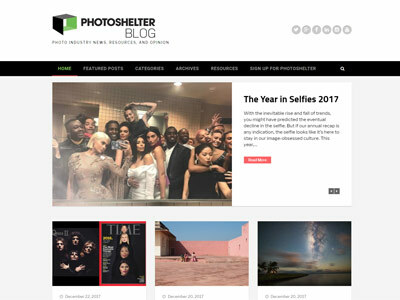 PhotoShelter is an active blog from the image sharing and watermarking platform of the same name. Covering industry news, opinion pieces, and the popular 'who shot it better' posts, you won't struggle to find a good read here. 121 Clicks offers longer-form reporting and analysis of works by renowned, and up and coming, artists. They also showcase a few how-to videos and technical guides. 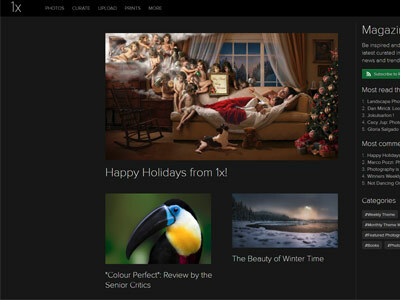 The personal blog page of Scott Kelby, the CEO of the KelbyOne online community. Scott is a photographer, author, and the original "photoshop guy". 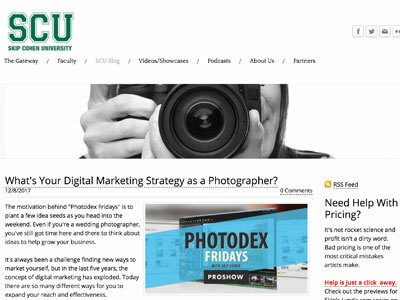 SCU is an online and live photo educational resource for emerging professional photographers. It's part of Marketing Essentials International, an educational and marketing consulting company founded by Skip Cohen. 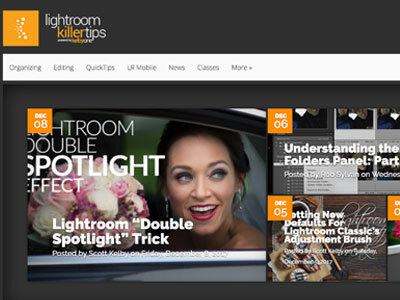 Brought to you by KelbyOne, the online educational community for Photoshop and Lightroom, Lightroom Killer Tips is just that, a blog dedicated to getting the most out of your editing and organisational software. 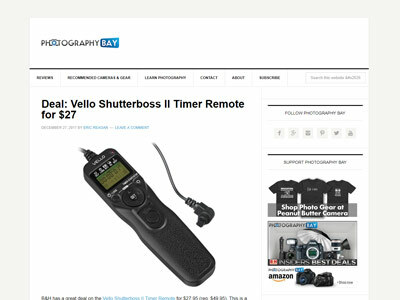 The Camera Jabber blog covers in-depth reviews of new equipment and accessories, photography news, and offers a large tips sections full of how-to's and technique guides. 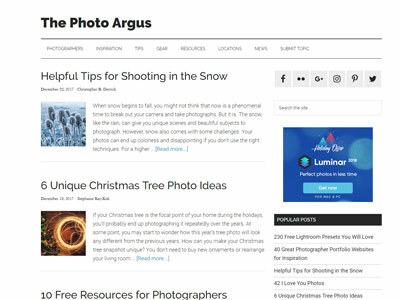 The Photo Argus is a dedicated space committed to bringing readers the latest photography information, inspiration, and techniques. They also run a regular call for contributors to share their projects and tips. Fro Knows Photo is brought to you by Jared Polin, the editor in chief. The blog offers an extensive tip section and many short and informative video clips. A Photo Editor (APE) is edited by Rob Haggart, the former Director of Photography for Men's Journal and Outside Magazine. The blog offers up resources such as an agent list and a photography consultant list. Contrastly is an online magazine about photography as well as an online store providing premium Lightroom & ACR Presets, and Photoshop Actions. Founded in late-2012, Contrastly is a collaboration between a team of roughly 20 photographers, writers and experts from all around the world, covering a wide range of topics related to photography. Focus Camera delivers top-notch tools and equipment to help creators and innovators take the next step in their creative careers. We offer comprehensive guides, videos, and reviews to direct and inspire a new generation of artists. 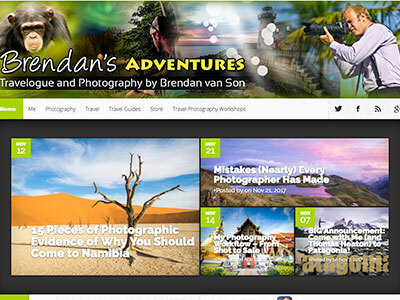 Brendan's Adventures is a blog that covers the travelogue and photography of Brendan van Son. Brendan features destination posts as well as gear reviews, how-tos, and common errors. 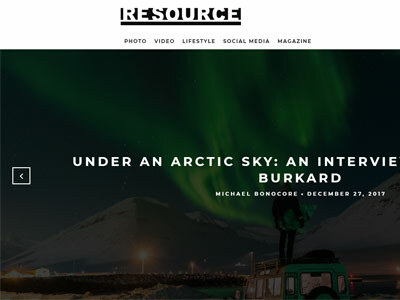 Launched in 2007 by Alexandra Niki, Resource is a digital and print magazine which focuses not only on photography. Article topics range from innovations in the online creative world to the impact of influencers. 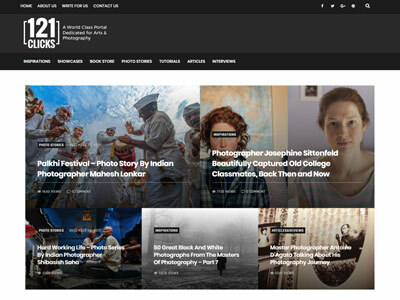 Joe McNally's blog is the personal blog of the award-winning photographer of the same name. Joe covers topics in both photography and photojournalism. 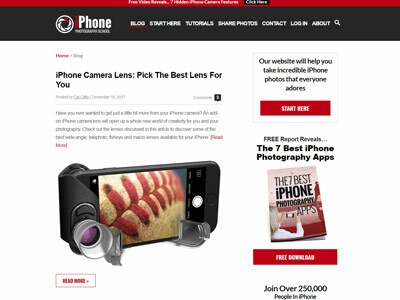 As the name suggests iPhone Photography School is a blog dedicated to helping iPhone photographers take the best picture possible on their smart phones. Budding photographers will find plenty of interest here. 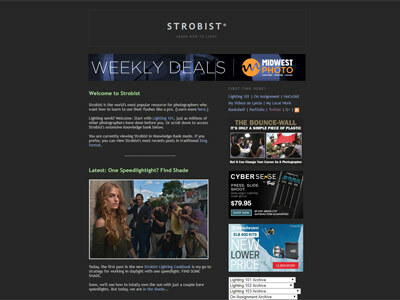 Strobist is a popular blog dedicated to helping photographers up their strobe skills to the next level. 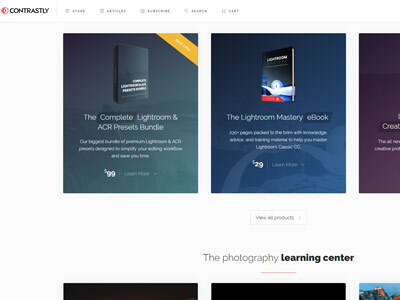 Beginners will find plenty of info under the 'Lighting 101' category. 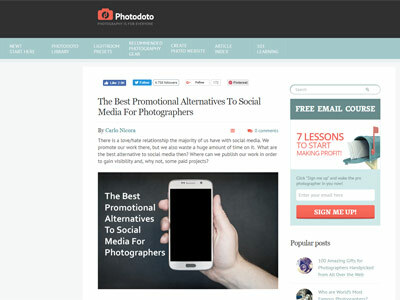 The Photodoto tag line is "photography is for everyone". 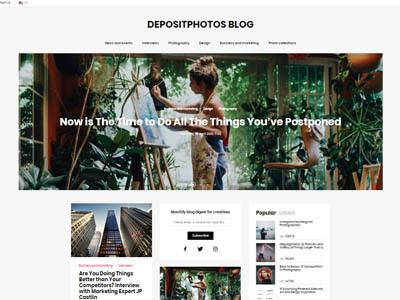 On their blog the content offered is diverse and appeals to a wide spectrum of budding and established photographers alike. 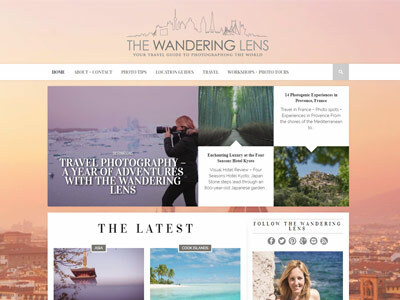 The Wandering Lens offers articles and how-tos on everything related to travel photography. There is also a 'location guide' section which travellers will find useful. 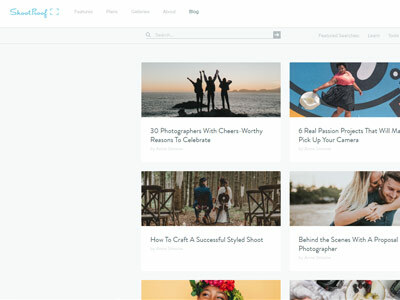 Depositphotos is a commercial platform that brings authors of high-quality licensed stock photos together with buyers. Their blog contains a lot of entries and covers a diverse range of topics, including how to make the most of their own platform. Loaded Landscapes is a blog dedicated to all things landscape photography. 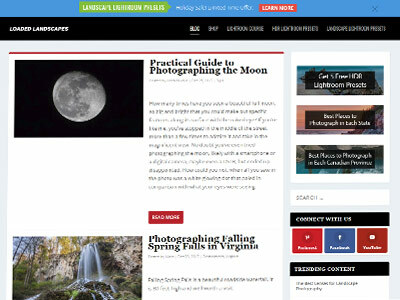 They offer up interviews with landscape photographers, technique guides, and a range of diverse articles. 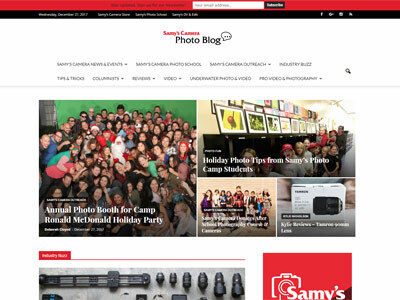 This is the blog for Samy's Camera Store and Samy's Photo School. 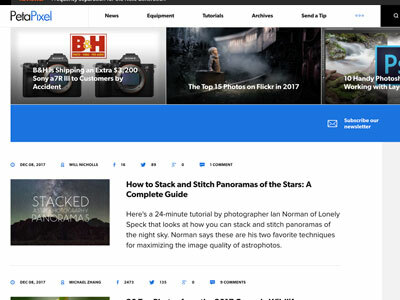 Topics range from news and events to tips and techniques. There is also a dedicated underwater photography section. DIY Photography covers a broad range of topics and photography concerns. The guides are geared towards smartphone photographers, digital users, and film users alike. 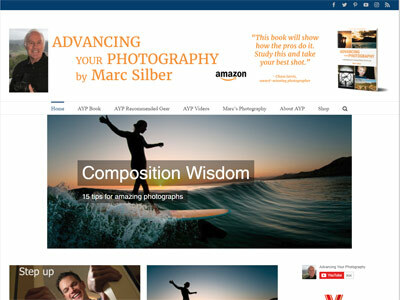 Advancing Your Photography is a blog from the photographer and author Marc Silber. Topics covered include gear, composition, and technique guides. Photechpro is brought to you by Atma Anand Tiwari, a self-taught photographer who is a graphic designer and animator by trade. 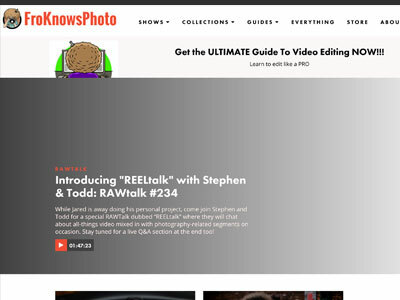 His blog covers DSLR news, reviews, and tips and techniques. 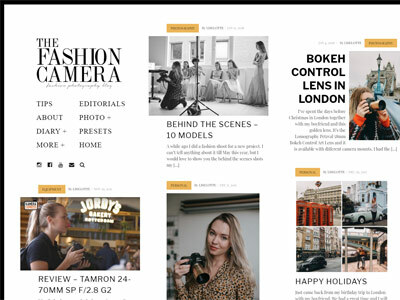 As the name implies, The Fashion Camera is a blog dedicated to fashion photography in all its forms. Articles range from beginner level to more advanced topics. 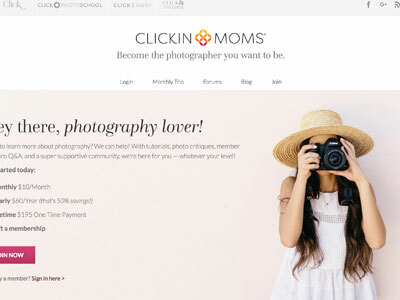 The Clickin Moms blog aspires to help readers take "better photos one day at a time". The focus here is on family and home photography with a few pieces on editing and post-production, too. Photography is all about skills and creativity, and Photojaanic help you get what it takes to be a Photopreneur. Whether you’re a beginner, a hobbyist, or a semi-pro, our guides will help you learn everything about improving your photography skills and growing a photography business — in other words: becoming a Photopreneur. Based in Atlanta, the Shoot Proof blog is run by a team of photographers, designers, and engineers. 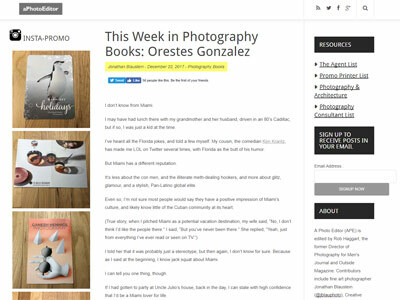 With the focus firmly on photography as fun and inspiring, this blog has something for everyone. 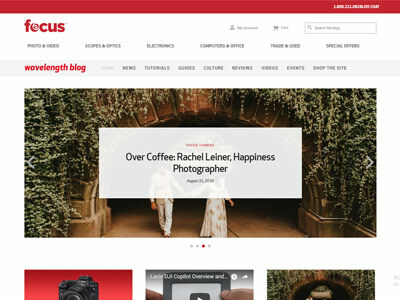 Photography Blogger, or P/B, is dedicated to inspiration for creatives, full-length features, and photographer profiles. They also offer up reviews, freebies, and showcases. 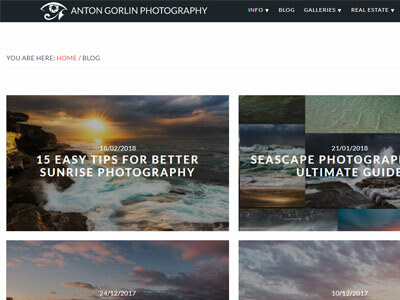 Photography tips, guides and inspiration from professional photographer, Anton Gorlin. 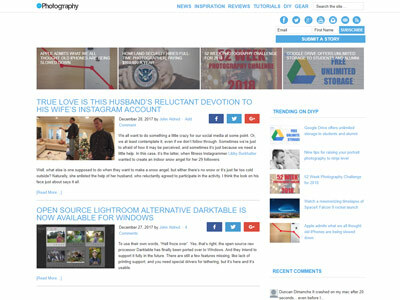 Photography Bay offers tips, industry news, and equipment reviews. 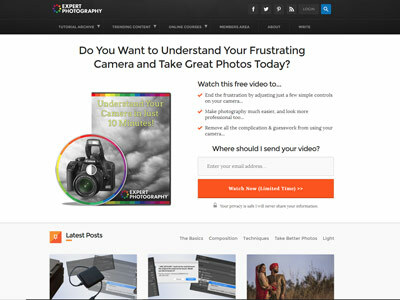 They also cover photography accessories, software, and technique how-to's. 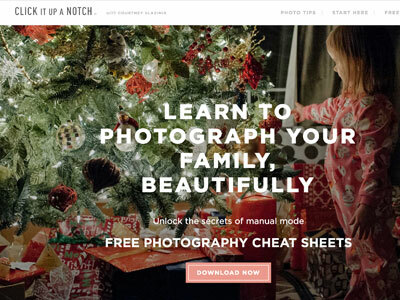 Founded by Courtney Slazinik, a 'momtographer', Click it up a Notch is a blog with a firm focus on helping home photographers make the most of their DSLR cameras. 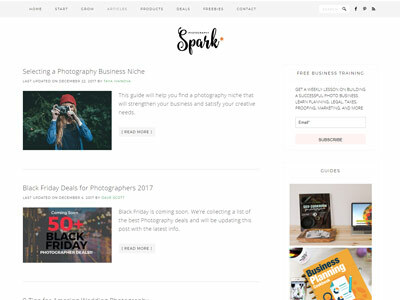 The Photography Spark blog focuses less on how to be a better photographer, and more on the fundamentals of photography as a business. A popular resource for aspiring pros. Did you know? Search engine traffic is the primary source of visitors to most of the photography blogs above.